Early in 2009, I decided to capture an image every calendar day for an entire year. 365 days later, I have more gray hair, have aged a decade and alienated loved ones, but I did it and, most importantly, I didn’t miss a single day. Comments and criticisms are welcomed, both on composition and technique, and on content. Thanks for looking. 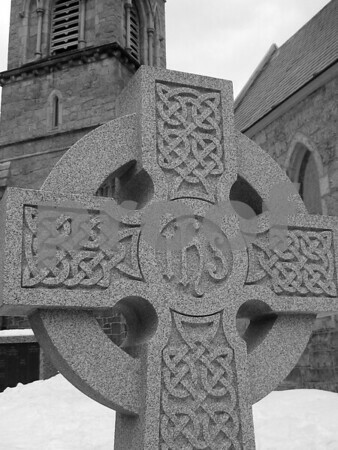 Figured Sunday was an appropriate day to capture a Celtic cross at the church across the street from my office. I have loved the look of it ever since it was installed years ago. Really beautiful and very nice composition!